ECN and partner Dahlman Renewable Technology (DRT) have launched a new joint venture to fast track the commercialisation of their gasification technology. MOJI technology efficiently converts a wide range of sustainable feedstocks to electricity, green gas, chemicals and even sustainable fuels. 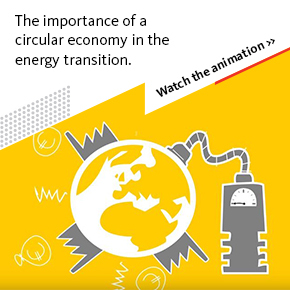 This is an exciting next step in enabling the transition to a sustainable energy system worldwide. MOJI (Milena Olga Joint Innovation B.V.) is a new joint venture formed around the gasification technology MILENA and the tar removal process OLGA, both developed by ECN in cooperation with DRT. ECN and DRT will each own 50 percent of the new joint venture. The technology development has accelerated over the last few years, with ECN delivering scientific knowledge, and DRT delivering engineering and project management expertise. Wil Poort, general manager at DRT says: “The technology is now ready for full scale implementation and there is much interest both here in the Netherlands and around the world. I am very happy that by launching MOJI, we can now combine our efforts with ECN. 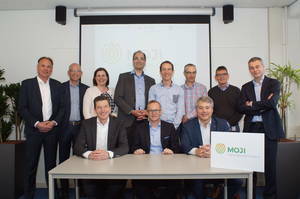 Furthermore, we are delighted to have our launching customer Synova on board as well.” With ECN and DRT’s Dutch roots, MOJI is a truly Dutch technology ready to be introduced worldwide. ECN and DRT have an established history of collaboration on gasification technology. Synova has a strong pipeline of gasification projects where MILENA and OLGA will be incorporated, the first of which is due to be announced later this year. Gasification is a process for converting a wide range of organic and carbonaceous materials into a combustible gas, called producer gas, instead of burning it in an incinerator. ECN’s proprietary MILENA technology is a so-called indirect gasification process in which the heat generation and the actual gasification process take place in separate reactors. The tar which is produced during the MILENA process is removed with ECN’s OLGA cleaning system that strips the tars from the gas and cleans the gas of dust and aerosols. These tars, which represent a high energy value, are collected and recycled back to the gasifier where their energy value is fully recovered. This unique design philosophy to maximise the efficiency of the process also means that its environmental impact is significantly lower than incinerators. For more information on this subject you can contact ECN via our contact form.